Sometimes we feel negative just because we eat junk. Nothing else. There’s nothing wrong with you. It’s just a bad diet that creates bad chemicals. And most people eat such foods. So, for a healthy change, you should try to get fresh, vibrant, rich and nutrient dense foods. Consumption of stuff like green leaves and colorful vegetables will provide you with an extra energy boost which will keep you fresh and energetic throughout the day. 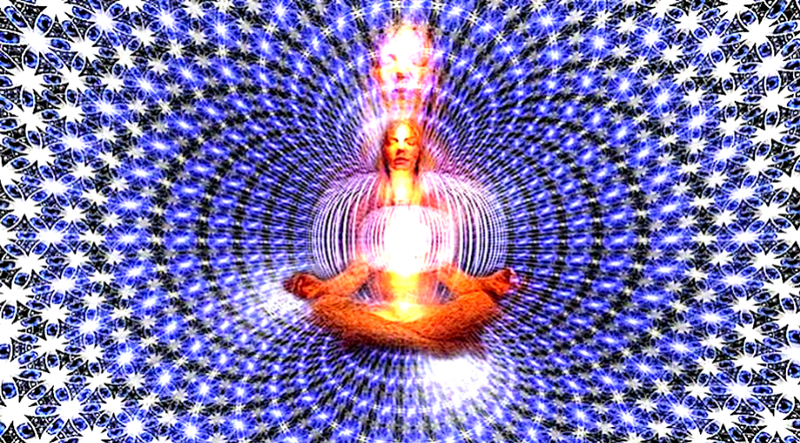 You’ll feel a whole new wave of energy and you will find yourself in tune with higher energies of The Universe. You’ll wake up to a beautiful day and success will effortlessly come to you. Just by introducing more of these foods in your menu. Green leafs like spinach, romaine, lettuce, arugula, chard are saturated with natural energy. Eat ‘em all up, you’re basically consuming the energy of the sun. All kind of fresh fruits will give you mouthwatering bliss topped with natural energy, but I’m specifically saying berries for a reason. See, berries are high in antioxidants and low in sugar, they have properties which will help your body to build a stronger immune system. If you want to get high on healthy food, eat a lot of sprouts. They are protein and enzyme enriched, awesome in taste and can be easily grown in your kitchen. Also, sprouting enhances the nutrient value in grains and seeds so that your body can get all the amazing stuff. Fresh herbs tend to add delicious and authentic flavors in our foods, and all of them have different healing properties. Try to season your favorite dish with some fresh herbs if you get a chance. Ah, what can make your meal perfect if not some vibrant spices! Spices like turmeric, clove and cinnamon add colors and taste to your food while containing some effective healing properties. Spice it up, will ya! Beans come with a package of protein, carbohydrate, vitamins and iron, which can do wonders to your body when consumed effectively. They are pretty much nutrient giants when it comes to healthy food. You don’t always have to sprout them, you know. Raw nuts and seeds are high in protein and healthy fats, which are proved to be necessary for the development of your brain and body. Nuts are also pretty good munchies, and you can use them as mid day snacks. I think you should eat algae. Am I mad? Do I have weird eating habits? Just hear me out. Blue green algae like Chlorella and Spirulina are literally bursting with nutrient values and high energy and can raise your vibration level like anything. If you’re me, you can make smoothies out of them. If the taste is too much for you, you can consume them in tablet form as well. Our body is a bloody ecosystem of various kinds of bacteria, both good and bad. Fermented foods like kimchi and sauerkraut are brimming with good bacteria which are able to cure your energy crisis and poor health condition.